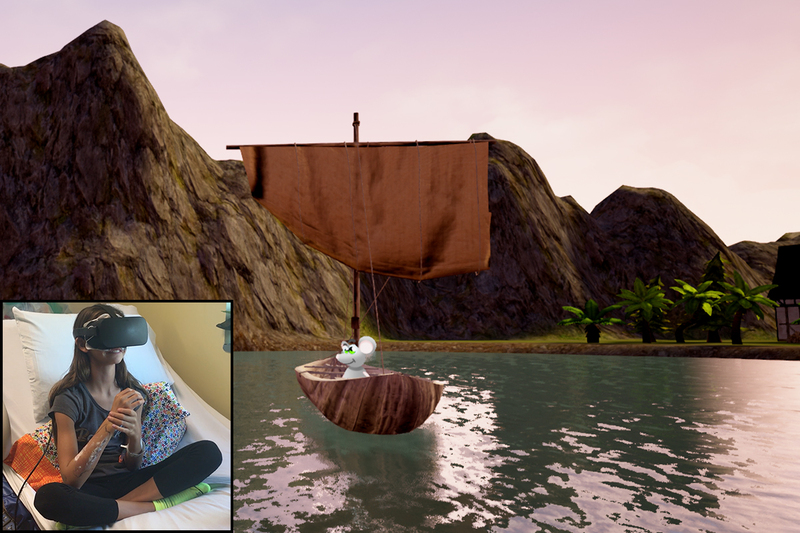 VR Kids is a Las Vegas based nonprofit group that brings our therapeutic virtual reality to hospital and homebound children ages 5 and up. We custom design our own virtual reality experiences from ground up using the Oculus Rift platform. Our experiences are designed to take focus off discomfort that comes along with extended hospital stays, medical treatments, and procedures. We do not claim to cure conditions; no, rather it's our goal to provide a fun, calm, and relaxing time for kids. 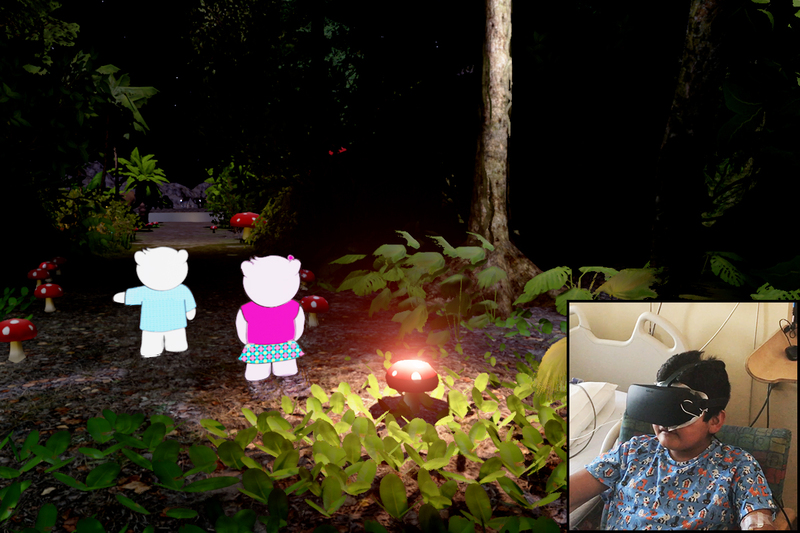 Using the amazing technology that is virtual reality, our immersive animated storybooks instantly teleport kids to a magical virtual world filled with adventure! Virtual reality is a computer-simulated environment consisting of three-dimensional images and sounds, making for an immersive and interactive experience for any user. When presented correctly virtual reality can cause a user to suspend belief in the real world around them, thus accepting the simulated environment in which they are participating in to be real. Virtual reality proves to be successful by way of the human senses, specifically sight and sound. Keeping in mind that we all perceive our senses differently, each experience can prove to be unique from the next user, truly creating a distinct experience for all. 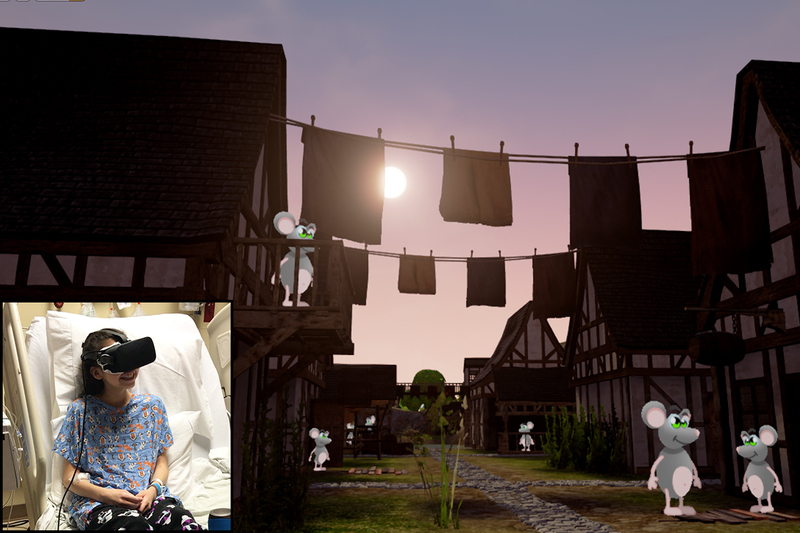 VR Kids has created a fun, interactive and immersive experience that will lead children on an exciting adventure. 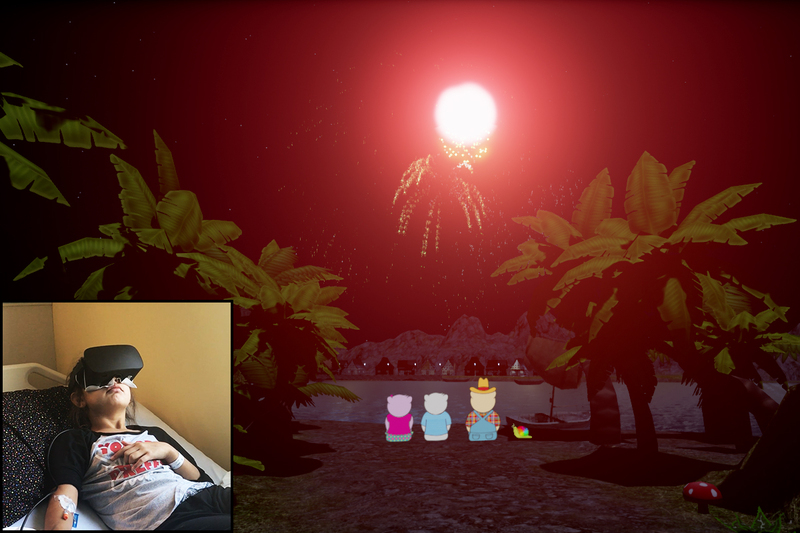 VR Kids presents: Journey to the Big Bear Festival, introducing you to your new VR friends: Teddy, Tessa, and Roompus - three bears who are very excited to see the fireworks display. 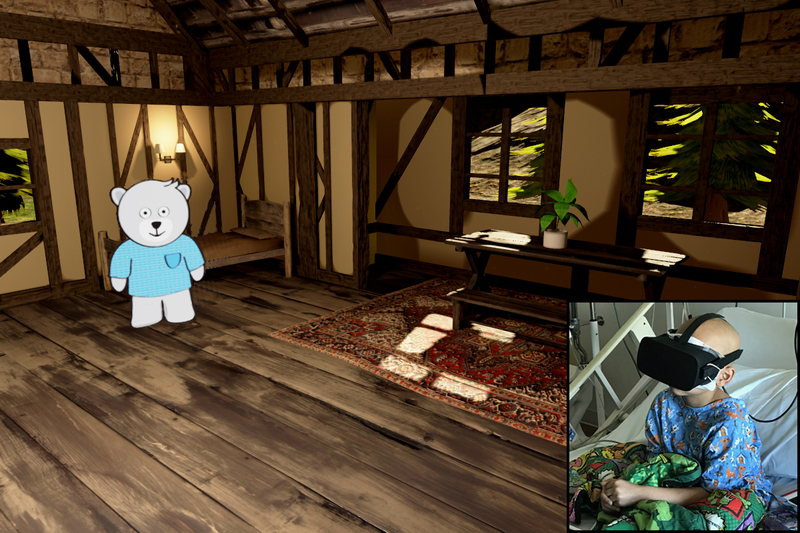 Follow these characters as they take you on an enchanting journey spanning both night and day and witness Teddy as he uses his special magic to change your virtual location! 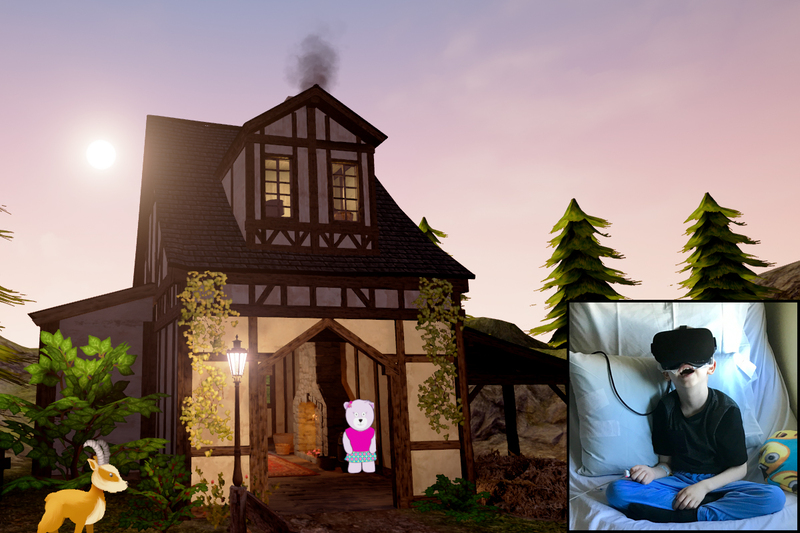 You'll start in Teddy's home, visit Tessa's cabin deep in the forest, visit Roompus' farm, and end up at the Big Bear Festival where you can admire the beautifully colored fireworks display above breathtaking Lake Humphrey. To top it off, you’ll even get to soar above the hilltops as you ride a magic carpet! Due to the immersive effects of virtual reality, we recognize that some elements such as motion and lighting may be too intense for certain individuals. We have the ability to remove certain elements from our storybook experiences, ensuring each user has an experience that accommodates their needs.